Garden Shares are open to new members for the 2019 season! Purchase between now and Dec. 31 and receive $120 value of flowers. Purchase between Jan. 1 and April 1 and receive $110 value of flowers. 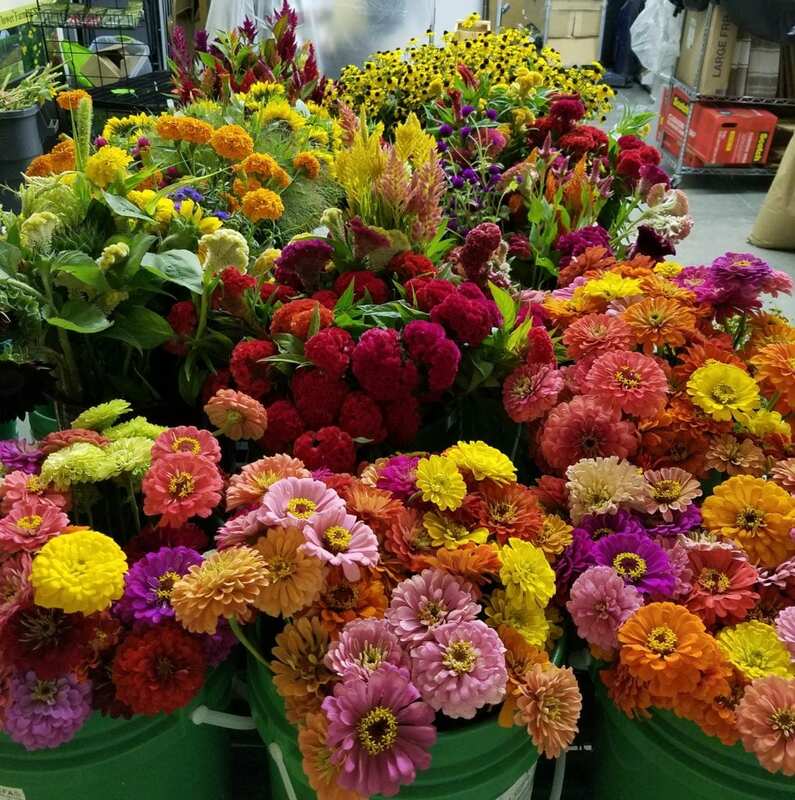 Give a season of fresh cut flowers from our farm! 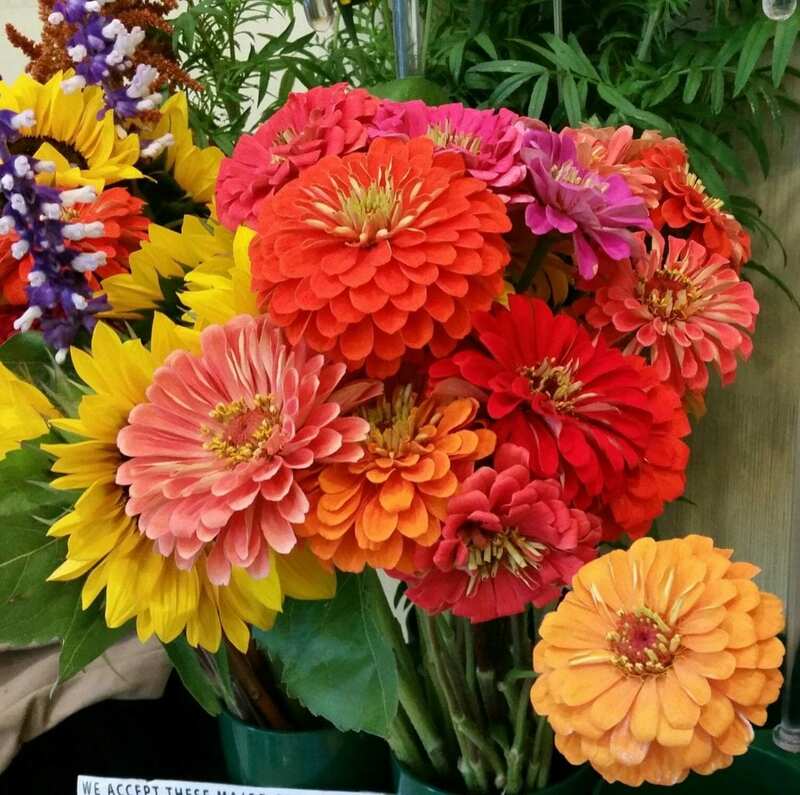 Join the Members-Only Market and come to the farm to pick-up flowers. Located in Newport News, VA, our season run May – September, weather dependent. Become a member by purchasing a Share. 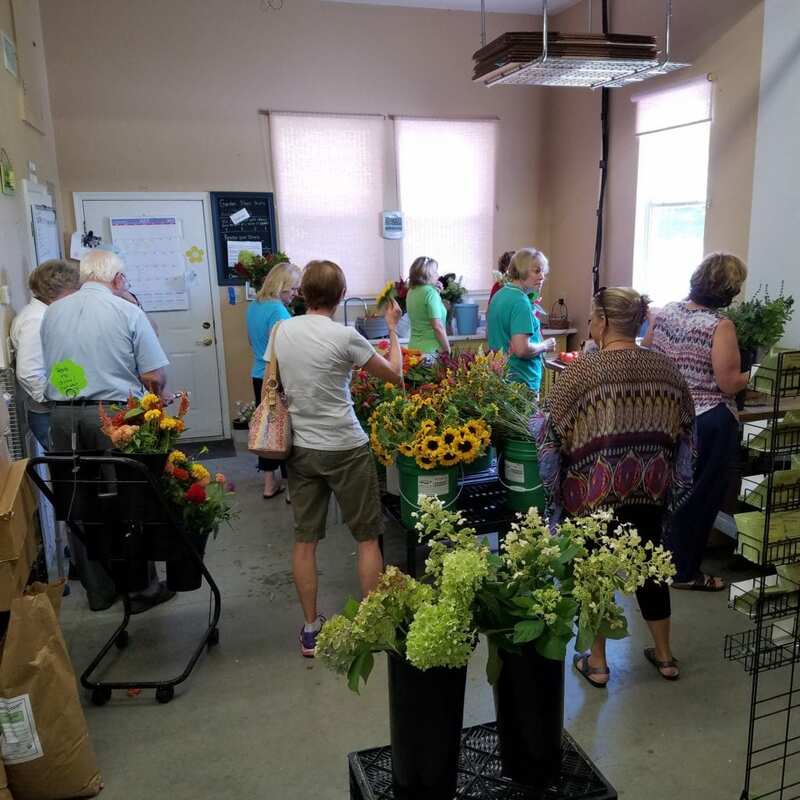 Shares are used to purchase flowers at the Members-Only Market. 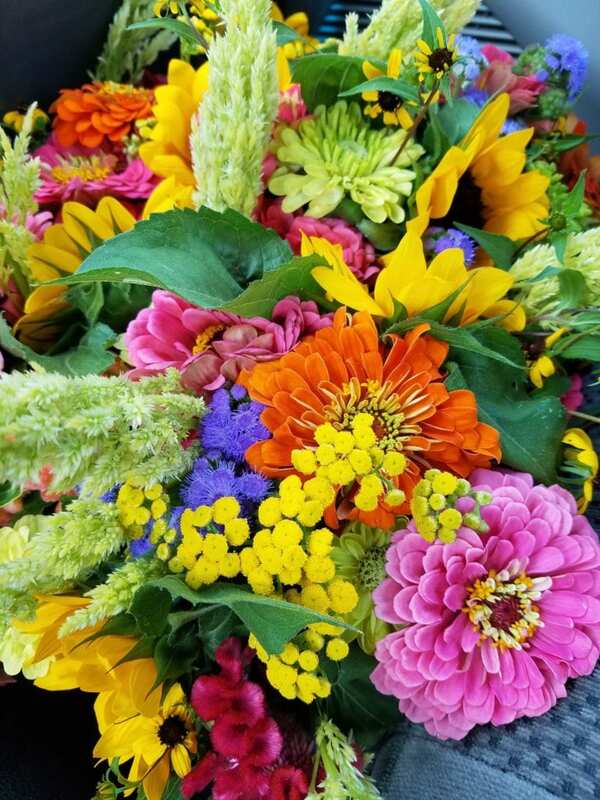 Members are invited to the farm in season between 9am-2pm on Fridays to pick-up flowers. 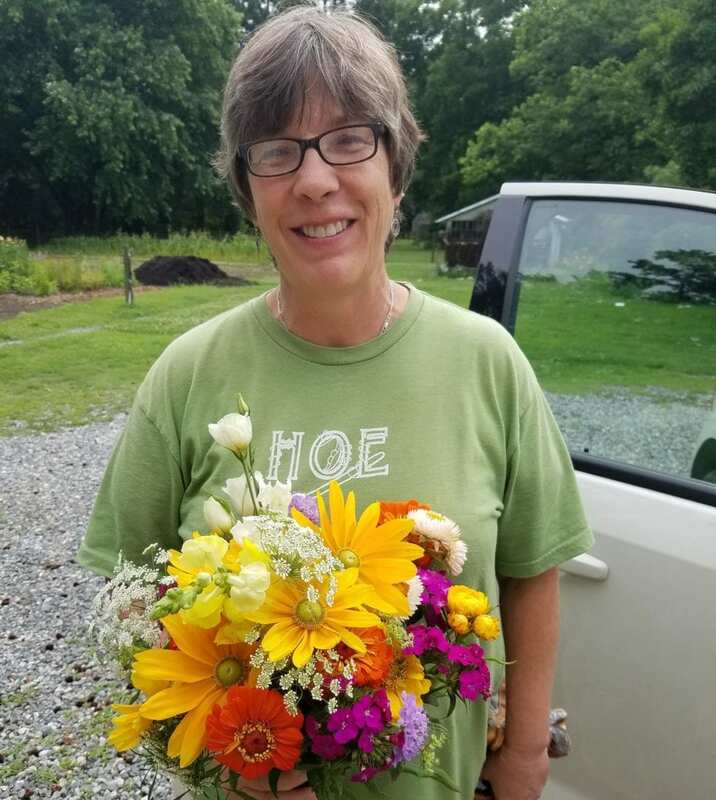 Flowers are harvested and ready to make a bouquet or select from one of Suzanne’s freshly made bunches. Flowers are sold by the stem and by the bunch. Gifting a membership to this market gives the receiver the “OK” to pick-up flowers when they want and need flowers. A fringe benefit of membership—coming to our private farm and seeing all the flowers and gardens. A share is $100 and includes sales tax. 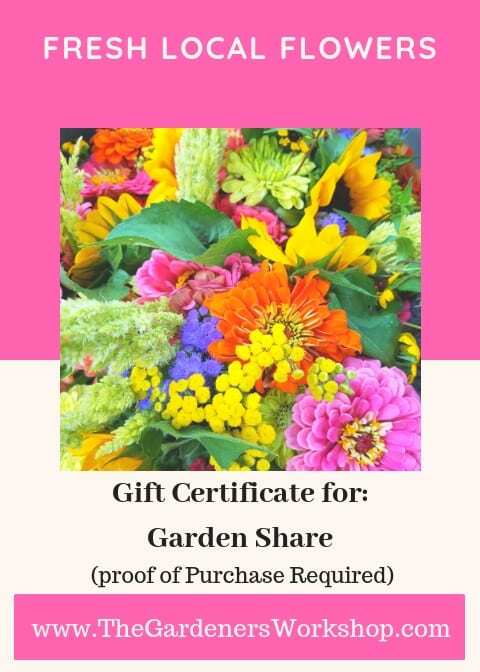 Each Share is valued for $100 of flowers (vegetables when available). Purchase between Oct. 1 and Dec. 31 and receive $120 value of flowers. There is no limit on the number of Shares a member can purchase. The valve of one Share is the maximum that can be redeemed in one week. Spend like a gift card. You have 2 seasons to spend your share in its entirety. Members can come every Friday or on Fridays of your choice- no requirements. A nice bunch of flowers is $15 to $20. Our farm is not open to the public. Only members are invited to the farm for pick-up. 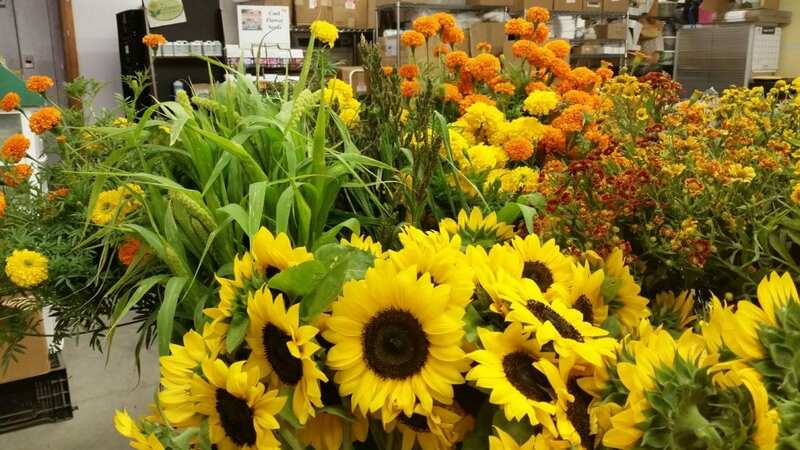 We grow a variety of proven “cut” flowers, some available for several weeks or months and others only a week or two. View our Bloom Guide here. Our flowers have a long vase life and you will find varieties not readily available. The season starts in May and ends in October. Weather conditions are a factor. 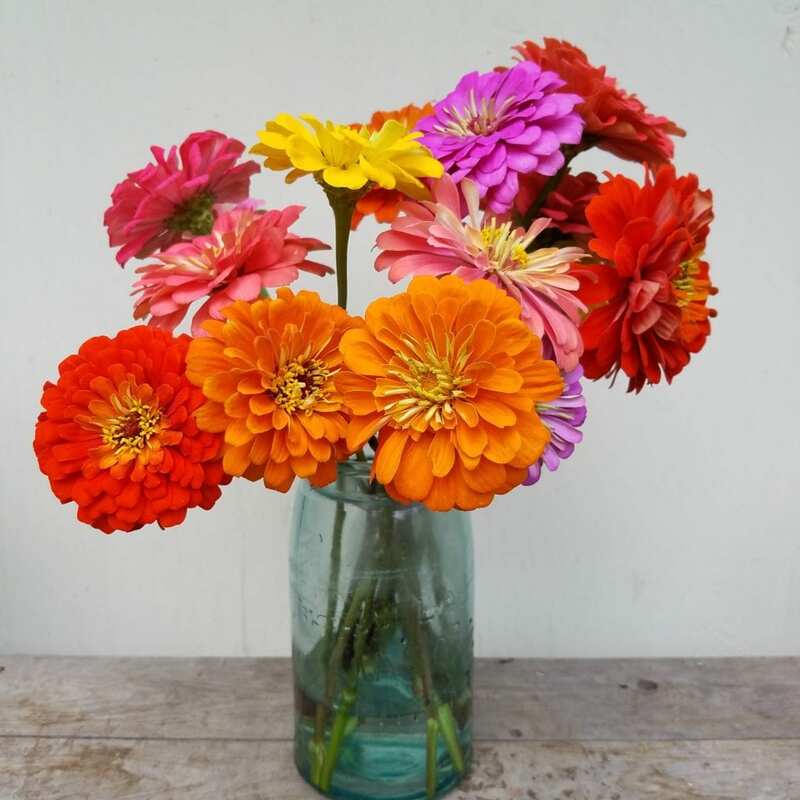 Shares are redeemable towards cut flowers only, not merchandise or workshops. Limited number of Shares available. Shares are closed when sold-out for the season. If you are interested in our bouquet drop-off subscription click here. I have been with Lisa since the beginning of her gardening venture and have enjoyed watching the business grow and prosper. They provide an excellent variety of quality flowers and exceptional service. Years ago when we were struggling to adapt to a new rental home after a devastating house fire, Lisa left a beautiful flower arrangement outside my front door. It instantly brought a smile to my face and brightened my day. This is just one of many ways that Lisa and Suzanne give back to the community. I am looking forward to Spring and bouquets of flowers and colors. Carter, thank you so much for your continued support of my farm and flowers. The beautiful flowers from Lisa’s farm last for more than a week. They are so fresh. And Suzanne has such a great eye at picking flowers for a bouquet. It’s FUN to go to the farm to bask in Lisa and Suzanne’s good cheer and to breathe in the wonderful scents of the flowers. Seeing a snoozing dog under the flower table is always an extra treat. You cannot find fresher flowers–in a more charming location. This was my first year to be part of the members only market. It was a Christmas present from my husband, but I am no stranger to the wonderful flowers that Lisa grows and Suzanne arranges. I have been buying Lisa’s flowers for years at the farmers markets and I am happy to be able to continue to purchase these beautiful flowers. They are always fresh and last for two weeks. You won’t find anything close to these beautiful and unusual flowers in any store and the selection changes as the season goes on. 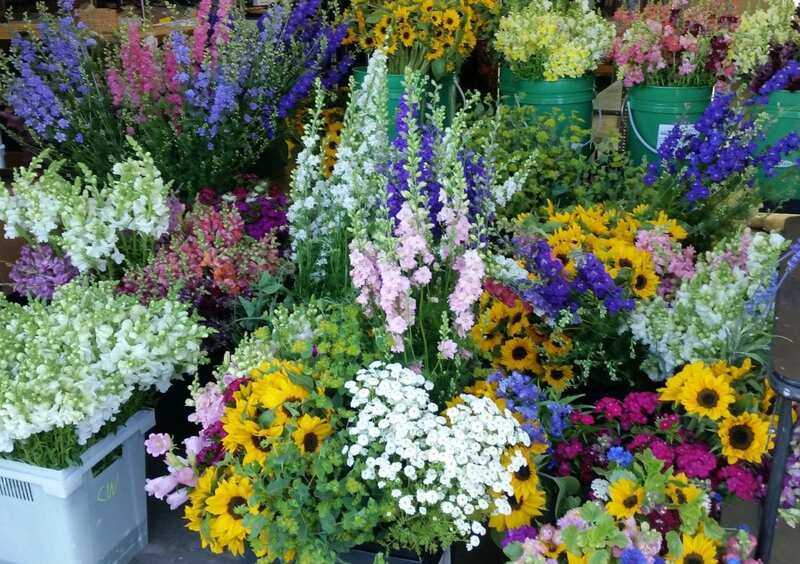 You can buy Suzanne’s arranged bouquets or choose your own stems and she will assist you. It is a wonderful value as well- I would pay twice what they charge and still be getting a bargain! Thank you for continuing to have such beautiful flowers . I can’t wait for the new season to begin- hurry Spring! Thank you Maria for the kind words! We can’t wait for the season to start! Our family loves Lisa’s beautiful cut flowers. It is so fun to choose, or even make our own bouquet, each visit. When it is time to renew, there is no hesitation from my husband!! He loves them too. We feel so privileged to be a part of Lisa’s wonderful business and enjoy her gorgeous flowers!!! 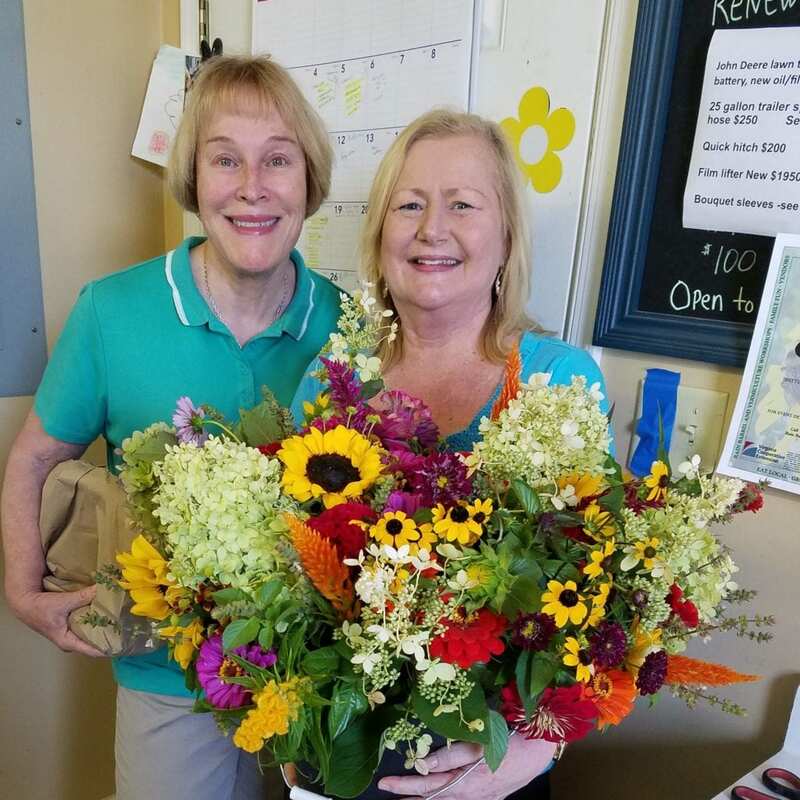 Donna thank you so much– we love that our neighbor’s enjoy our flowers and can walk over to the farm! I love going to Lisa’s for flowers each week! They are so fresh and lovely and last a long time. Both Suzanne and Lisa are so helpful and the varieties of flowers are wonderful. It is so nice to have fresh flowers in the house!!! Anne, I appreciate the kind words and so glad you are a member! I received an annual garden share as a Christmas gift. I am so excited for Spring flowers from the Gardener’s Workshop. It has been a few years since I’ve enjoyed a share of my own, and they are always fresh, beautiful and uniquely local. Lisa we so appreciate your families continued support of our efforts on the farm. And hey, welcome back! I really enjoyed my first year and greatly appreciated the extra help I needed with a non weekend event. Also appreciated the weekly email notification of which flowers would be available.